In a real break from formula, episode 9 is set entirely at the Wall. This might be a controversial opinion, I’m even hesitant to say it, but I actually think the entire episode being dedicated to one area worked for character development. Unfortunately, most of the handling of the Wall plotlines is sub-par in my opinion, especially when compared to King’s Landing. This episode gave us a deeper look into the role of the Night’s Watch, how Jon has grown and how capable he is and how Sam has changed as well. Unfortunately, the episode only covers one night of the Wildling attack against the Wall and therefore doesn’t quite capture just how demanding the fight was or how overwhelmed the Night’s Watch actually is. It also doesn’t give Jon a real chance to lead and to lead for a fairly long time during a very hostile encounter, which is important for the future. By having Thorne and Slynt already at the Watch this particular storyline could not be followed. 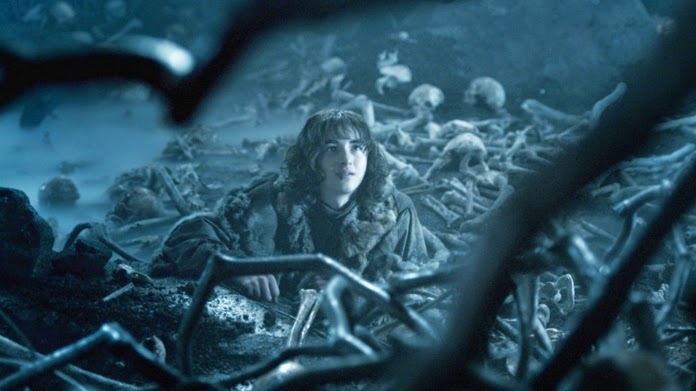 However, we did get a great scene where Thorne admits that he should have listed to Jon and sealed the tunnel under the Wall before the attack. Ygritte is killed in the battle after hesitating to kill Jon. 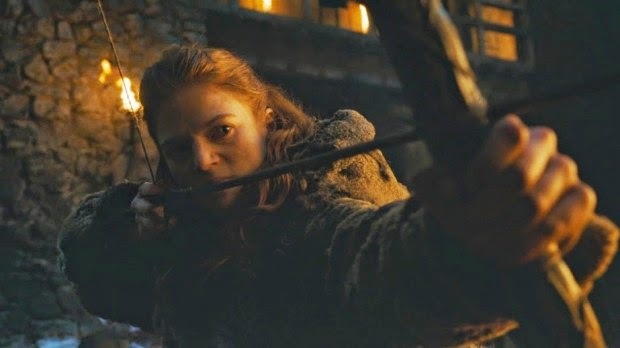 It was a fairly high impact scene and it’s a credit to Rosalie Leslie who did a great job of keeping Ygritte sympathetic in that moment despite all of her recent raiding with the Thenn’s and the other Wildling’s. I understand why the circumstances of her death were changed in the show, certainly increasing empathy towards Jon moving forward and while I think it worked overall for viewers (I assume?) I didn’t really like it myself. It felt over-romanticised which is not how I see Ygritte. 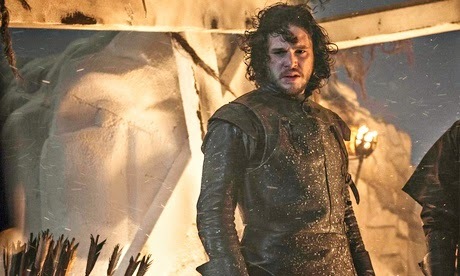 Jon leaves the Wall to negotiate with Mance Rayder and determine a way forward without further slaughter to the already depleted Night’s Watch. In episode 10 we see Jon’s negotiations with Mance, who seems fairly reasonable all things considered, cut short by the arrival of Stannis Baratheon and his army. Although this looked impressive FX wise and fighting skills wise, it was an ambush that was over way too fast. This battle is fairly large in the book (all of the ones with the Wildling’s are) so I feel like we lost out again on some great battles. Mance surrenders to save as many of his people as he can and Jon speaks for him to Stannis, using his relationship to Ned Stark to seek additional favour for Mance. They burn their dead and Melissandre looks at Jon with greedy eyes. All up, the fight sequences that we did see at the Wall were epic and Kit Harrington was for once a believable negotiator and leader, even if he isn’t yet as skilled as some others that we have met. Sam did his best to be brave and we lost a lot of familiar faces in the fight. 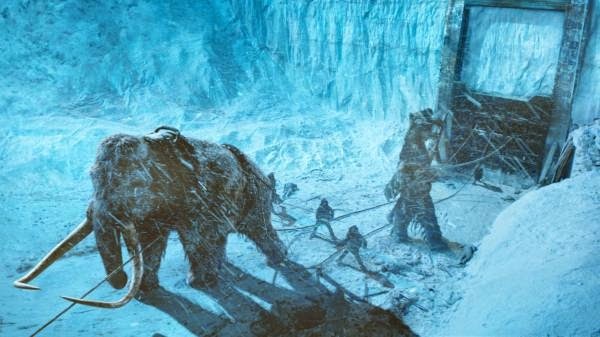 My main disappointment is that with the fight over so quickly is was not well shown how desperate the free folk are to get away from with White Walkers nor how formidable their numbers were. All of the fights were over more or less before they began. This will have an impact on some of the decisions that will be made in future. Also north of the Wall, Bran and his friends find themselves on the approach to the Weirwood Heart Tree that Jojen saw in a vision. As they arrive, skeletons emerge through the ice and attack them. We get to see Meera use some of her fighting skills and we meet one of the Children, who offers assistance and bids them escape with her. In the struggle though, Jojen is killed and must be left behind. 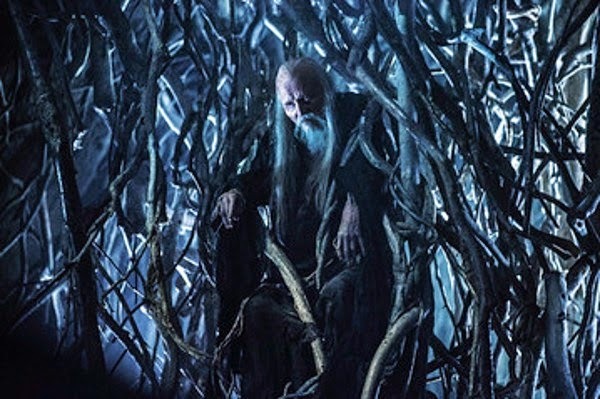 Within a cave and weirwood structure, the Child takes the group to meet the one who they know as the three-eyed raven who is lodged within the tree itself. He tells Bran that Jojen knew his fate and still felt it was important enough to lead Bran to him. He also tells Bran that though he may never walk again he will fly. I imagine this whole section is massively confusing to anyone who hasn’t read the book series. This scene actually takes place in A Dance With Dragons, not in the second half of A Storm of Swords. In fact, a lot of Storm’s second part focuses on the Wildling attack at the Wall. I guess for the purposes of showing all Stark’s regularly, they needed to have Bran actually get somewhere at the end of this season. While the visual FX were great, it didn’t really make sense without backstory as to the history of Westeros, the weirwoods, beliefs about the Old God’s etc. We also didn’t have Coldhands giving a lot of exposition about why they were where they are and what the relevance of skin changing/warging and green seeing actually is. Finally on Bran, in the book series, Jojen was close to death but not dead yet. There is actually a quote, which implies he might survive long enough to get back to Greywatch Tower. This is important because getting to hear what his father Howland Reed has to say about the past is potentially particularly relevant to the future of the story. I imagine this story might be carried forward through Meera, if indeed at all. 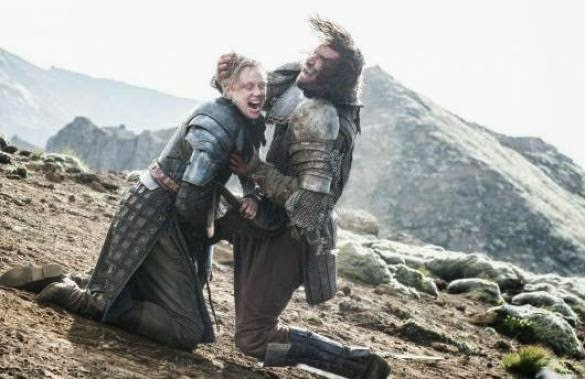 Near the Bloody Gate we get some of the best of the season finale as Brienne finds Arya and the Hound and he battles for her protection, claiming that Brienne is paid by the Lannisters and cannot be trusted. This is interesting as in the book series Brienne does not know what Arya looks like and has not ever met her. She was also not the one to battle the Hound but it made for a really really great on-screen match up. Brienne successfully tossed the Hound down a cliff face and scrambles off to find Arya. 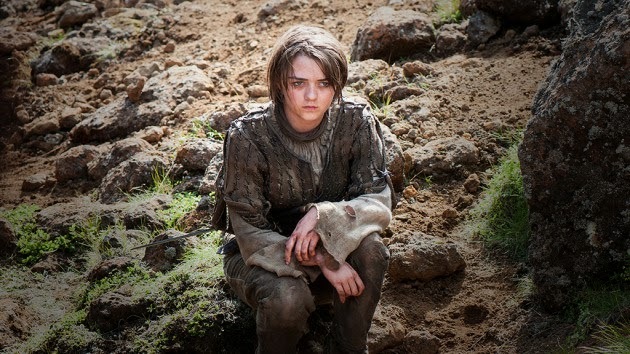 Arya instead finds the Hound who is dying and when he reminds her of all of the terrible things he has done, she refuses to end his suffering and leaves him to die slowly of his injuries. Interesting for the future story. Across the Narrow Sea, Daenery’s is being presented with the constant conflict between the world in which her people previously lived and the new world that she is trying to build. She is learning what being a Queen and ruling truly means and that is great to watch. 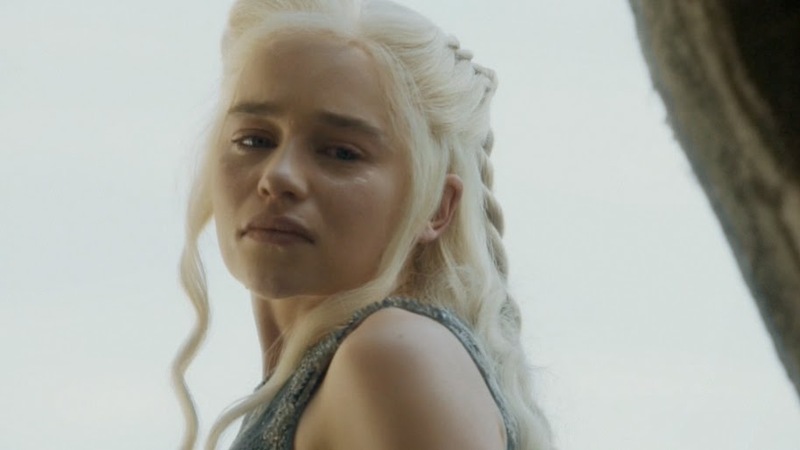 She also learns that Drogon has begun killing humans when the remains of a three-year-old girl are presented to her. In a heart-wrenching scene she locks her other two dragons away in the catacombs under the city. Meanwhile, at King’s Landing, Cersei is trying to save The Mountain who has been poisoned during his battle with Oberyn Martell. Oberyn is renown of his knowledge of poisons and has been rumoured to tip his spears with them. 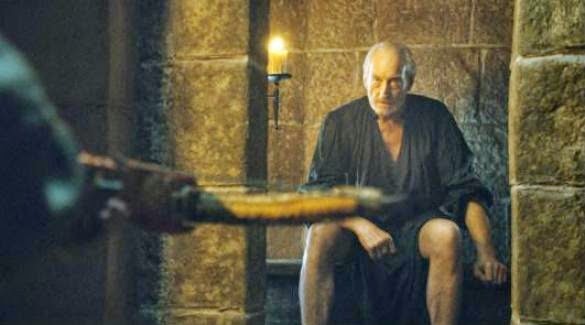 Qyburn declares that he can save the man using dark means but he may not be the same again. Cersei only cares that he remains as strong as he was and allows Qyburn to continue with his work. Cersei then confronts her father, Tywin Lannister, in one of the best scenes in the episode and tells him that she will not marry Loras Tyrell. She once again professes her love for her children and this is the one thing that can be trusted when it comes to Cersei. In a jow-dropper, one that I don’t remember being in the books, she tells Tywin that all of the rumours are true, that his legacy is a lie, that her and Jamie are lovers and even though it was going on under his nose he never saw it. Although she seeks Jamie out and professes her love for him and their children, asking him to build and protect their own little family, Jamie still rescues Tyrion and with the help of Varys says that he can escape his execution. The motivations changing, with Jamie now knowing his sisters declaration of family, seem strange for the story to come. Perhaps this is all a set up to keep the tension within the Lannister house heightened. Jamie also does not tell Tyrion about Tysha and what one of the reasons for him helping Tyrion to escape actually was. This made the final Tyrion sequence slightly less satisfying for the book reader, though I am sure it was still stunning for those who only watch the series. It also means that Tyrion still has a friend in King’s Landing which changes some things in the future as well. For reasons unknown, Tyrion scoots off to see his father. In the book it is clear that this is because of what Jamie has told him, but in this case perhaps we can guess that it is because he wants to know if his father would have actually executed him? Did he go there pre-meditating his next moves? In the show, it certainly doesn’t seem like he did so I have no idea why he went to Tywin’s chambers. There, Tyrion finds Shae in his father’s bed; waking from sleep she calls Tywin her lion. When she sees Tyrion they struggle and in the aftermath Tyrion strangles her to death. Taking what looks like Joffery’s crossbow, Tyrion seeks his father out, who is sitting on the toilet. 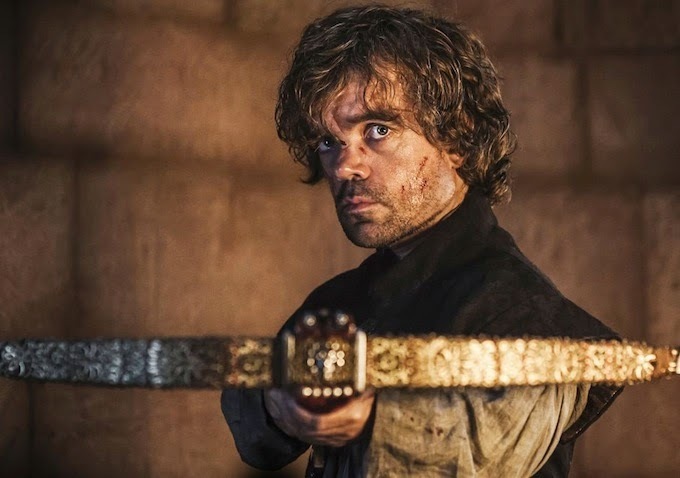 This Tyrion seems in a very calm and cold rage, not ferocious as in the book. He ends up killing Tywin with a couple of crossbow bolts when Tywin continues to use the word ‘whore’. This is more significant and ‘justifiable’ in terms of Tyrion’s character with that other piece of information I mentioned earlier. 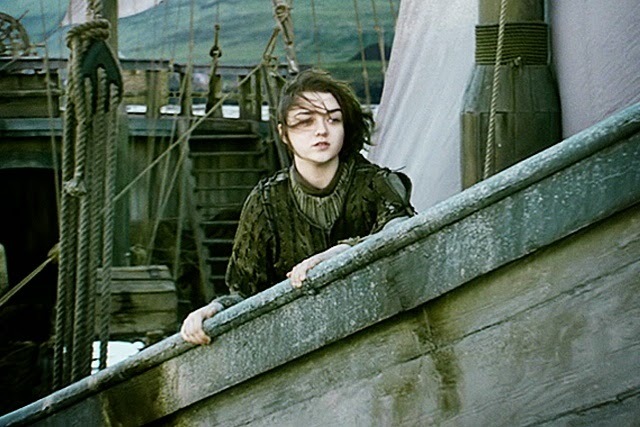 Having committed two murders on his way out, and previously being considered incapable of such acts let alone killing his own father, Tyrion is put on a ship to leave the City. As the bells in King’s Landing toll, Varys himself thinks the better of returning and slips away with Tyrion. That’s the end of season 4 folks! Next season, hopefully more Dorne!